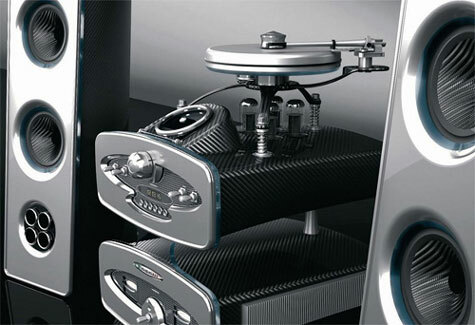 From the makers of the Pagani Zonda supercar comes the newest uber expensive high-end audio system. The stereo setup features a turntable, cd player, amplifier and of course speakers with supercar exhaust ports. 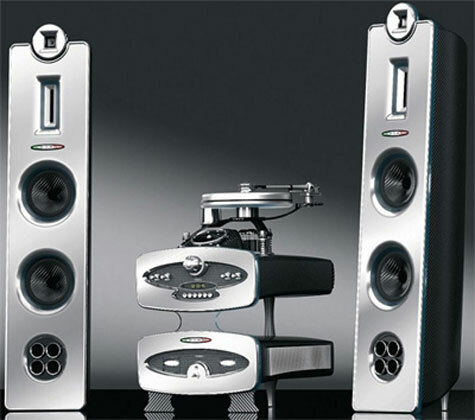 Included in the complete setup is a turntable, CD player, pair of speakers and an amplifier. All of it takes a fairly obvious cue from the Pagani line of automobiles, even down to the Zonda exhaust ports on the speakers.